Ooh, the symbolism. Love it. 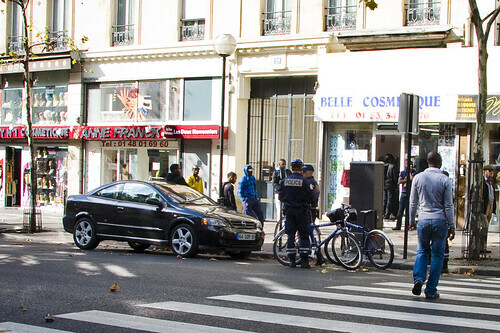 Two Parisian bicycle cops write out a ticket for an illegally-parked motor vehicle on Rue du Sebastopol.